When sowing wild flower seed directly into existing grass the site must be carefully chosen and the ground preparation must be good. Select grassland on poor to moderately fertile soil with a fine or open sward structure and few perennial weeds or vigorous grasses. After sowing continue mowing or grazing as needed aiming to keep the grass short (30-50mm). Continue mowing/grazing through winter and early spring as needed. Stop mowing/grazing in April and leave until July/August at which time you can manage the sowing as you would established grassland as described below. 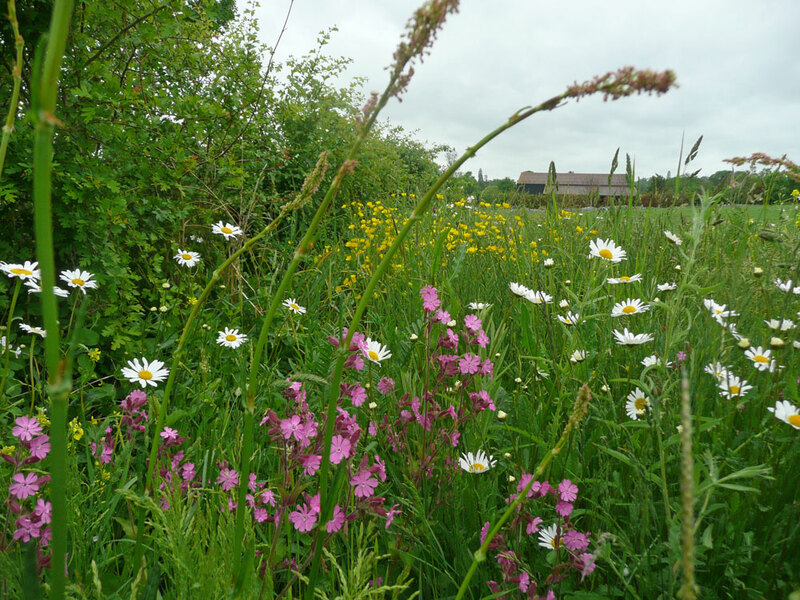 Most of the sown meadow species are perennial and will be slow to germinate, grow and flower, particularly against the competition from established grasses. Hedgerows, woodland edges, rides, glades and other semi-shaded communities usually sit on the boundary between one habitat type (eg open grassland) and another (eg closed tree canopy). 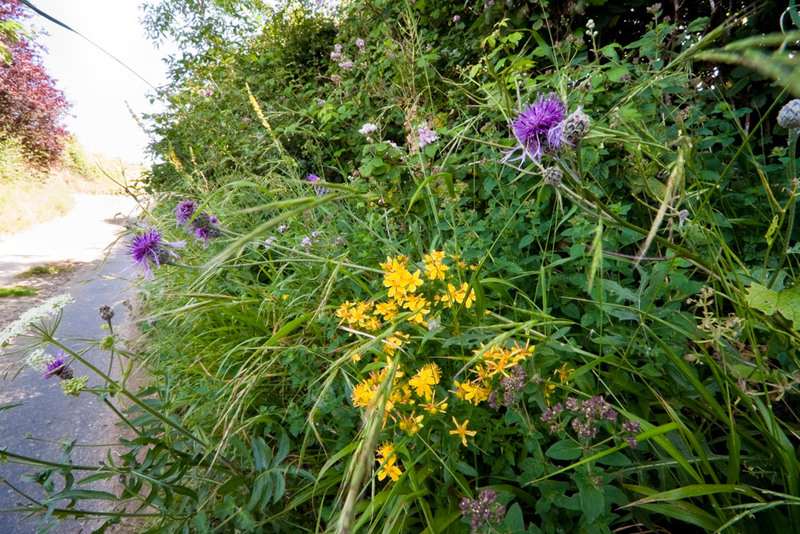 The management requirements of established hedgerow mixtures can be tailored to light levels and to fit in with adjacent vegetation types. Zoned management of hedgerow margins frequently produces the best diversity of habitat structure: areas closest to the hedge or woodland boundary and those which are more shaded are left uncut in most years. Areas that are further from the margin and more open can be managed as grassland habitat. For example in a 6 metre sown margin the 2-3 metres against the boundary could be left uncut, the next 3-4 metres cut once or twice a year. Hedgerow vegetation that is not mown or grazed each year will become rough and "tussocky" in character. It can form useful refuge habitat on corners and margins of a site. To control scrub and bramble development these tussocky areas may need cutting every 2-3 years between October and February. For wildlife this cutting is best done on a rotational basis so that no more than half the area is cut in any one year leaving part as a undisturbed refuge. EH1F is a mixture containing 100% native wild flowers for sowing into existing grass or combining with a suitable grass seed mix. EG9 is the grass mix we recommend for sowing with these flowers, it can also be sown with one of our other grass mixtures. EH1F and EG9 are available premixed as a complete hedgerow mixture EH1.